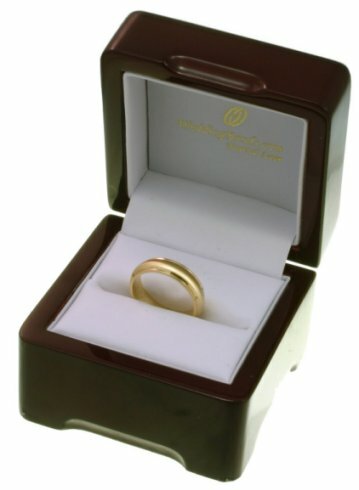 14 kt rose and white gold with black rhodium, comfort fit, 10.2 mm wide, diamond eternity wedding ring. 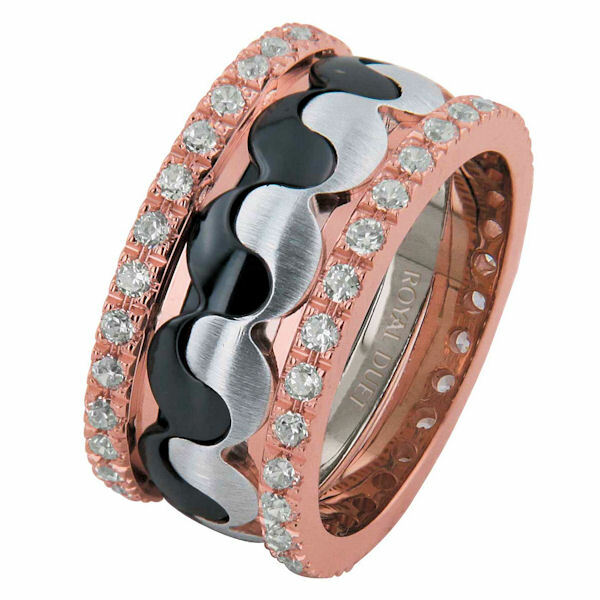 The ring combines white and rose gold together with an accent of black rhodium in the center. The diamonds are set around the whole ring on both sides of the band. It has approximately 1.05 ct tw round brilliant cut diamonds, that are VS1-2 in clarity and G-H in color. The diamond total weight may vary depending on the size of the ring. 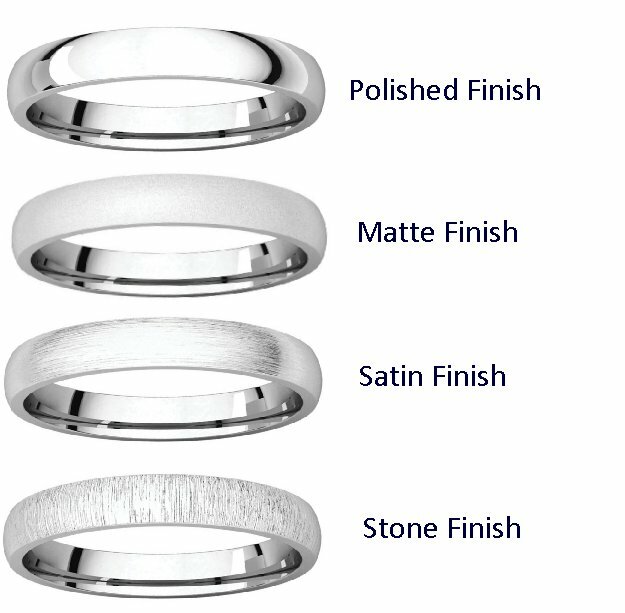 The ring has a mixture of brushed and polished finishes. Other finishes may be selected or specified.